I had a bought a bunch of pitas, not the type you use for a souvlaki but the other type, which here in Greece are called “Arabic” pitas, to distinguish them from the Greek style ones, and had some leftovers that were going to dry out if I did not use them soon. The solution? A quick appetizer for that evening. 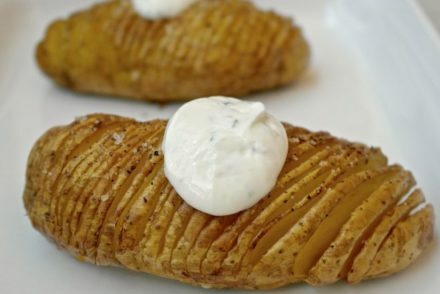 The recipe is simple and light and easy. No, it is not topped with tons of cheese. 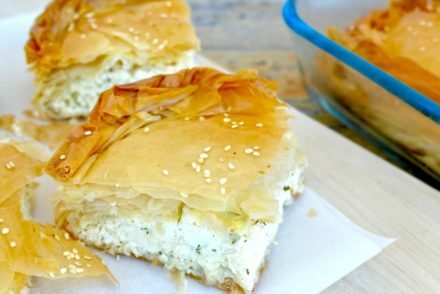 Basically you use double the amount of Greek yogurt and add only a bit of cheese. Pita (or pita bread) has very little fat and works well as a vehicle to add some protein, and whole-wheat ones are even heartier. 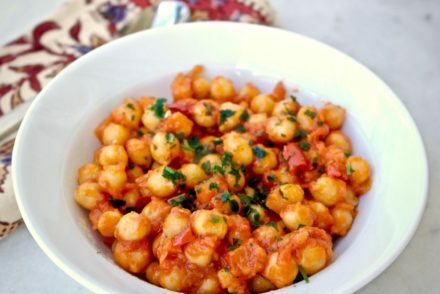 I like them plain like this-just with the cheese, but you can top with some other (healthy) ingredients of your choice such as tomatoes, olives and peppers. Serve them cut in triangles for appetizers or whole for a a light meal or snack. Preheat oven at 400 degrees Fahrenheit (200 Celsius). In a medium bowl, mash the feta with yogurt until creamy. Add the mint and olive oil and blend well. 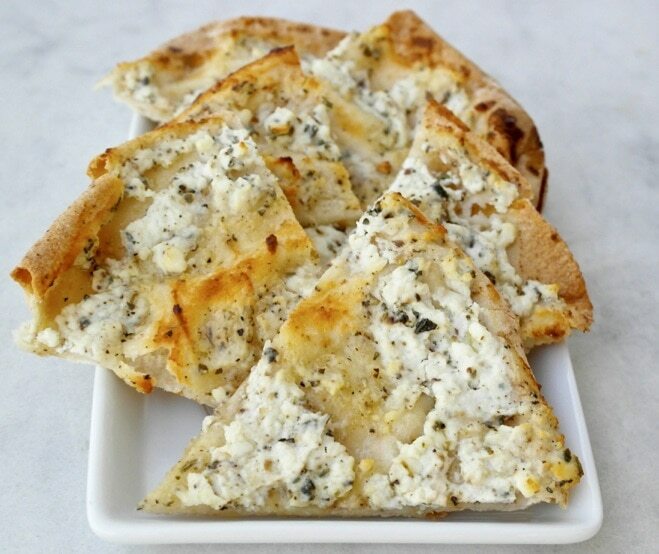 Spread the yogurt-feta mix on each pita. Bake in the oven for about 10 minutes, until tips of pita starts to brown. 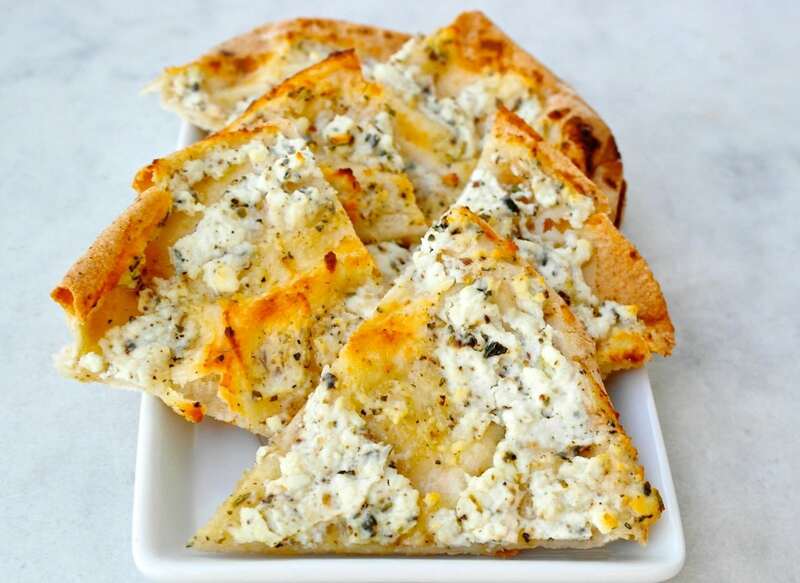 Take out and cut each pita with a pizza cutter in 6 triangles or 8 and serve.